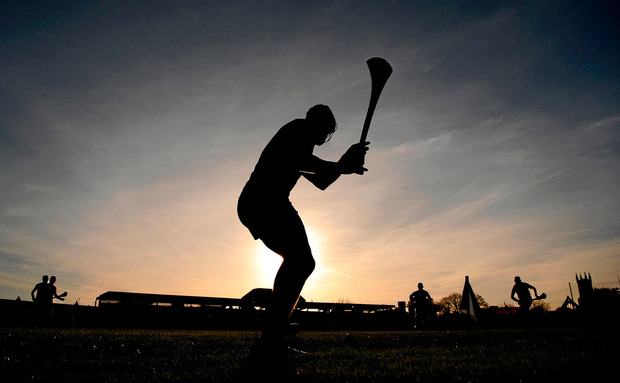 Finally, the UN has classified hurling and camogie as global protected cultural activities, part of our intangible heritage. So finally now we are up there with the Jamaicans and their reggae, the Belgians and their beer-making and the people of Naples and their pizza-dough making. While the UN is at it, there are a few more unique parts of Ireland's intangible heritage that they should consider recognising - endangered cornerstones of our culture that need protection. In the sphere of hurling and camogie alone there are many things that need protecting - milk in a Lucozade bottle to go with the flask of tea and sandwiches on All-Ireland Final Day; stopping off for one pint on the way to Croke Park and missing the match. But beyond that there is a rich cultural heritage that is dying out in Ireland and some people certainly think we will be poorer without it. What about the Stations of the Cross in people's houses? This was an early Irish form of the dinner party, but where people did a bit of penance first so it didn't seem as if they were enjoying themselves too much. Nothing better than re-living the passion and crucifixion of Christ to keep people from losing the run of themselves on a night out. Indeed, there are a whole load of unique traditions connecting to our past as a religious country that should get a heritage designation. The phrase "Who said Mass?" and the feeling it evokes in a Mass-dodging teen, for example. Or the great Irish tradition of calling people out from the altar for everything from not paying their dues to fornication. This time of year is rich with intangible heritage. Like going for a pint with every randomer you bump into because it's Christmas, or leaving all the presents in the pub when you stopped off for a swifty on the way home, but not remembering which of the half-dozen pubs you visited that you left the presents in. Chocolate Kimberley should be up there too, along with the tradition of buying the Celebrations in November because they were on a deal, and having them eaten before it's even December. That mild disappointment that the bags of Taytos in the Christmas box of 20 are small-sized is a uniquely Irish feeling. As is the feeling of relief you get when you realise you can just eat another bag of them. Saying sorry all the time should also be recognised as part of our heritage. Not saying sorry by way of apologising, but saying sorry as a way of trying to get the attention of a waiter or barman. And saying sorry when someone bumps into us, even though it was their fault. Men bulging out of cycling shorts eating scones at roadside cafes should be included; bitching about the Toy Show; having a Bono story. I could go on.